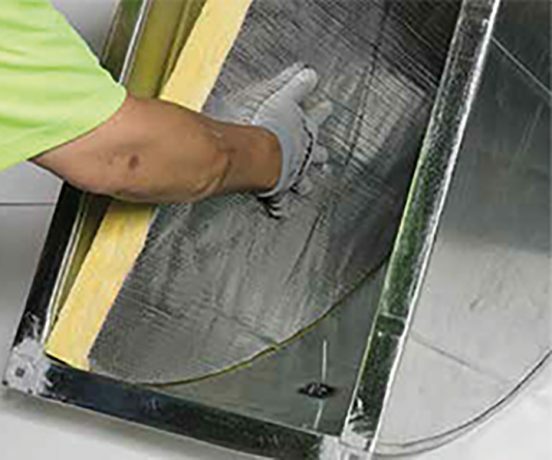 Bradford Supertel™ is designed as internal insulation for HVAC ductwork. It also has many applications as a general insulation product to enhance both thermal and acoustic performance. Supertel™ has been designed as a thermal and acoustic internal lining for all air conditioning duct work or may be used for other thermal and acoustic applications where high insulation performance is required at minimal thickness. Supertel™ comes in a range of thicknesses that meet the performance requirements as set out by the NZ Building Code. Standard packaging is polythene bags. Published weights are for product only and do not include packaging.